Thrift Store shopping and weekend garage sailing are passions of mine. I love the thrill of the hunt and the reward of coming home with loads of great stuff, and a happy wallet and husband. It is easy to shop around these places and pick up stuff you don’t really need. Which is fine, but today our focus will be how to shop for things that you need or REALLY want. Be patient. If you decide you want a used table saw, don’t expect to find it on your first trip. 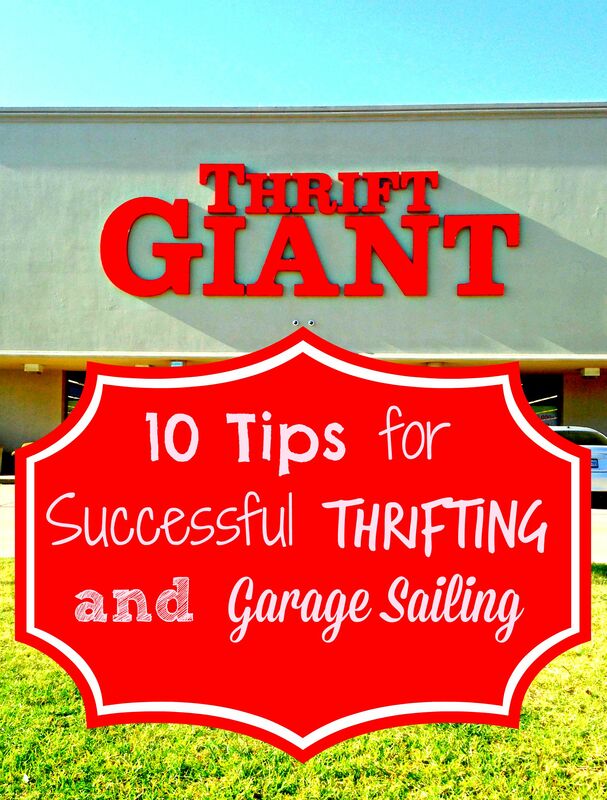 Check craigslist, go to a few garage sale each week, try different thrift stores. It takes a little more effort to find what you want, but when you do, it’s much more worth it. Frequent the same thrift stores. I have found that when you visit the same thrift stores on a weekly basis (for shopping and donating), they are more inclined to keep an eye out and put things aside for you. I am specifically referring to the smaller, non-profit thrift stores. Places like Goodwill may not be able to hold items for customers due to store policy. Have a price in mind. When you DO happen across that very thing you have been searching for, have a FAIR price in mind. By now, you most likely have done your research on the cost of the item at full price, as well as the used price. If not, do a quick google search on your phone. Don’t be afraid to ask them to knock the price down to what you had in mind. The worst they can say is no. Know when to walk away. Once you have made your offer, if they choose not to budge and you KNOW they are way overpriced, it’s time to walk away. It can pull on your heart strings to watch it go, but you will sleep better knowing you didn’t get ripped off. I struggle with this part the most. My husband is a great mediator, hehe. Map out your garage sales. Instead of wasting time searching for sales and taking 15 wrong turns, map out your garage sales a day or 2 ahead of time to really maximize your efforts and time. Location, location, location. When mapping out your garage sales, look for sales in affluent neighborhoods. A lot of times they will have really good stuff! Make sure you check the prices though! Also, try to keep all of your bargain hunting on the same side of town. After all, you have to make it to Grandma and Grandpa’s in time for Brunch at 11. ESTATE SALES! These two words together make my heart flutter. I have gotten some of the best deals and items from estate sales. One time we snagged an upright deep freezer for $35! It was in great condition and one of the items on my list! Estate sales generally have everything half price on the final day, so make sure you get there early if you can. Don’t be afraid to dig. Sometimes you have to dig to get to the good stuff! I usually do a few walk throughs before I move on. You would be surprised how easy it is to miss the jewels amongst the junk. Respect the owners. Keep in mind that these used items were once precious to someone. If someone doesn’t make a good deal with you, don’t get all bent out of shape. They may still have some emotional ties with what they are selling. Places like Goodwill, often times can’t change their prices for each person. I once witnessed a customer yelling at the cashier because she couldn’t get something for 50 cents less (rude). Many thrift stores are non-profit, so the money you bring in is needed for a better cause. I hope you will find these tips useful when you’re out on the hunt! Don’t forget to subscribe and stay tuned for what’s next. Happy thrifting and garage sailing! Let me know when you are going to an estate sale. I know almost nothing about estate sales. Sounds like fun, and I love a good deal. 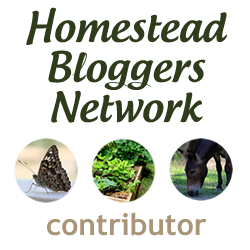 Fantastic tips Homesteader Mom! I don’t go to Estate Sales often but I have gotten great stuff at great prices at them in the past. Waiting for cooler weather here in Texas until I venture out to a garage sale but I am raring to go now!